It’s a sad fact that anyone can be the victim of fraud. Millions of people have already fallen victims to internet scams, Ponzi schemes, and fraudulent bridging loans. While fraud is everywhere, there are steps you can take to prevent yourself from being victimized. Lenders giving bridge loans were just a niche market in 2007, and their dominance resulted in high interest rates. Now there are thousands of loan companies who offer fast bridging loans at low monthly interest rates. The unexpected growth in the bridging loan industry can be attributed to its flexibility and capacity to adapt to what borrowers need. These loans were initially used to bridge the gap between selling a property and purchasing a new one. But now the loan is also used to finance everything, from boosting businesses to home renovations to paying taxes. 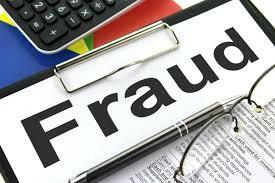 Upfront-Fee Fraud: This is the most common type of bridge loan scam and also the most challenging to detect since it’s the practice of legitimate lenders to charge upfront fees to offset due diligence costs. In the case of scams, the upfront fee might come in the form of a wire-transfer fee to reportedly cover fund transfer costs. Bait-and-Switch Loan Scam: Sadly, this practice is committed by legal but crooked lenders who switch the loan’s terms and conditions at the last minute. Borrowers who are working with a bridging finance company for the first time are particularly vulnerable. Identity Theft Fraud: This scam is perpetrated by a company who wants to get the information they need to steal their client’s indentity. There are a few characteristics of bridging loan scams that sets them apart from other fraudulent practices. Upfront Fee Red Flags: Be wary of emails that are full of typographical and grammatical errors. You should also stay away from lenders who ask for transaction insurance payments before the issuing of funds or those who allow you to deposit an upfront fee with a lawyer. Lastly, watch out for upfront fees that are much higher than what’s charged by other lenders. Bait-and-Switch Warning Signals: Be careful of a bridging loan broker who offers swift closings with little documentation needed or terms with low interest rates. Just before closing, the lender could switch interest rates, demand additional equity, or require a percentage of the property’s ownership. Identity Theft Signs: Watch out for these four signs – loan terms that last for more than 10 years or interest rates lower than 5%; a company that’s located overseas but claims to be an American corporation; lack of due diligence on your asset or offers of swift closing; and requests for your personal information instead of details about your property. Check the lender’s license: It’s important to check if the company has a license to offer bridging loans since it means they have to comply with the state’s laws. Shady companies either won’t have a license or are operating outside of the country. Make sure they have a physical address: Legitimate lendings service companies have physical offices where clients can go and talk to a broker. Be wary of companies that can only provide you with a phone number or email address. Never send money in advance: Bridge loan scammers will request that you send money to cover your application process or the cost of taxes. The best bridging loan broker will only collect associated fees when your payment is due. While you can take steps to avoid scammers, there’s still a chance someone will get one over you. So what should you do if you’re the victim of a fraud? The first and most important step is to report the incident. This is crucial as it gives the relevant agencies accurate numbers on the people affected. It also helps the FBI and other law enforcement groups in breaking up these rings. You should also make sure to match the correct government agency to the crime. Check out usa.gov for the list of agencies and the relevant crime that you can report. While scams and dubious lenders are everywhere, awareness and education will go a long way in preventing you from being a victim. So do your due diligence before applying for a bridging loan Manchester. Reputable money lenders will be more than willing to show you their references, term provisions and commitment letters before closing any deals.